Hostel Suites Mendoza is located in the heart of downtown Mendoza, in front of the Central Market and 3 blocks from Independencia Square, center of concerts and recreational and cultural activities. It also has ATMs, regional shops and restaurants nearby. Hostel Suites Mendoza has private rooms and dorms, all of them with a small bathroom and shower, air conditioning and heat. Besides, in the ground floor we have a common room with TV and DVD player, a small guest kitchen and a big top roof with outdoor showers and grill. 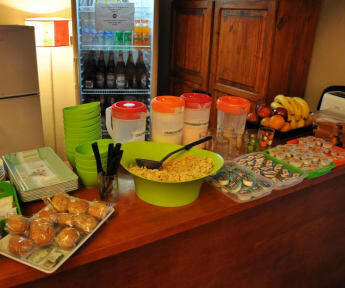 Hostel Suites Mendoza offers free services!! : Continental breakfast, lockers, computers with internet, Wi-Fi area, luggage storage and tourist information. At Hostel Suites Mendoza you can get tours of any kind, buses and hostel reservations for your next destination! We also offer different activities at night for you to have fun in the city of wine and sun!